BBC World Service - Science in Action, Black hole image: Why does it look like an orange ring? 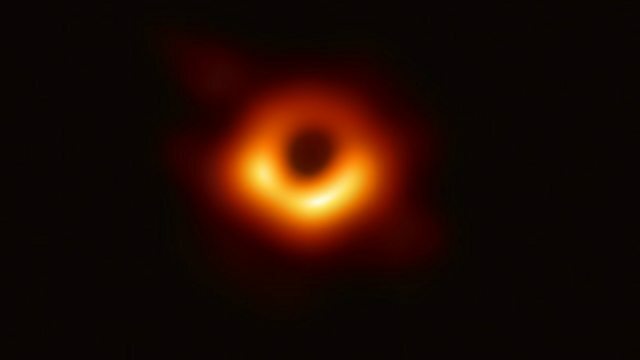 The first ever picture of a black hole has been captured by a network of telescopes, known as the Event Horizon Telescope (EHT). It lies at the centre of the M87 galaxy which is located 55 million light-years from our blue planet. Feryal Ozel, a Professor of Astronomy and Astrophysics at the Department of Astronomy at University of Arizona and leading member of the EHT, explains the image confirms Einstein's theory about black holes.